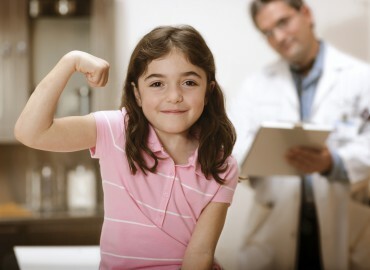 Provides them with information about new developments in the field of health care. 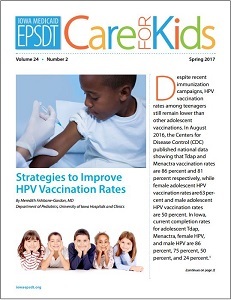 The EPSDT Care for Kids newsletter articles reflect the primary objective for the newsletter's editorial board: promoting healthy child development throughout Iowa. Iowa EPSDT will continue to print and mail the newsletter, and a new electronic version will be available by email soon. Use the sign-up form at the bottom of this page to subscribe. You are welcome to print out and share copies of the EPSDT newsletter or material from the newsletter with others. If you wish to reprint newsletter material in another publication, whether print or electronic, please call 319-384-5656 for permission prior to publication. Click on the links below to access a printable copy of any of the available issues. For questions or more information about EPSDT newsletter articles, please get in touch with Meredith Field at 319-384-5656. Iowa EPSDT will continue to print and mail the Care for Kids newsletter three times a year, and a new electronic version will be available by email soon. Use the sign-up form at the bottom of this page to subscribe. Iowa EPSDT is committed to making our information and materials accessible to everyone. To increase the font size on site pages, hold down CTRL and press + on a PC. Hold down Command and press + on a Mac. © 2019 EPSDT Care for Kids, University of Iowa.